"To me, Feinberg's chaste, almost self-effacing playing on Basically Bull calls to mind Glenn Gould's Bach and André Watts's Scarlatti—not bad company. If he used the Steinway's pedals at all, this nonplayer couldn't hear it. The result is as close to period-correct as I can imagine a grand piano's being capable of. Bravo." "It is a mark of Mr. Feinberg’s skill that playfulness, along with grace and exuberance, characterizes his performances of these 400-year-old miniatures even though their technical demands are of a sort rarely encountered again until the 20th century." "English virginal music from the 16th and early 17th centuries played on a modern Steinway? Unthinkable! Shocking! Forget it; this disc is fabulous." Alan Feinberg has made a name for himself as a performer of contemporary music, having premiered over 300 works by the likes of John Adams, Charles Ives and Steve Reich. 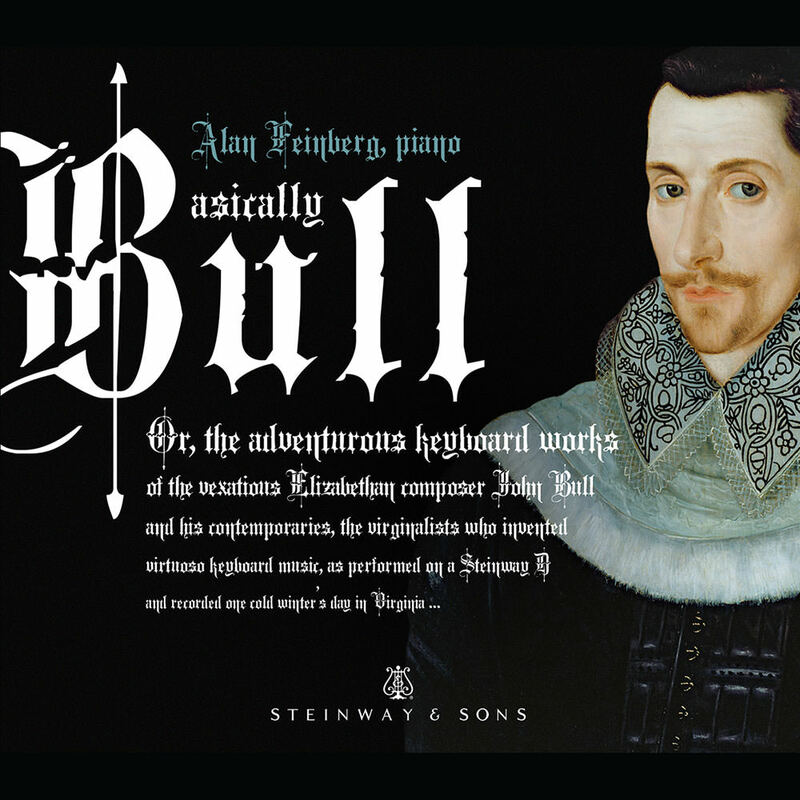 Basically Bull, by contrast, see the seasoned American pianist take on a decidedly different repertoire, interpreting works originally composed for the 16th-century virginal by John Bull, Orlando Gibbons, Thomas Tomkins, John Redford, William Byrd and John Blitheman on modern piano.